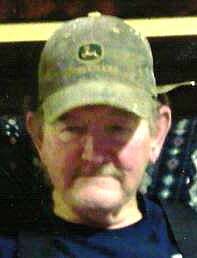 GREENE — Bernard “Bert” Parker, 69, of Lewiston, died peacefully on Saturday morning in the company of loved ones. Bert was born in Lewiston, the son of William and Margaret Parker. He graduated Lewiston High School in 1964 and attended Central Maine Vocational Technical Institute to learn the building trades. Later in life, he returned to CMVTI to pursue his love of teaching the trade to others and to sit on the Board of Directors. Bert owned a very successful construction company since 1969 and had no plans to retire. Bert and his first wife, Joyce, raised their two kids in Greene, where he was actively involved in the community. He was a leader of the Boy Scouts troop, served on several town committees, and was the local building inspector, plumbing inspector and code enforcement officer. He was an adviser for St. Francis Mission Youth Group and enjoyed hiking Mount Katahdin with the teenagers each year. Bert had the privilege of raising a second family later in life, being dad to three more children. In recent years, he loved playing on local cribbage and shuffle bowling leagues, participating in a snowshoe club and serving on committees at Le Passe Temps club. He believed that the most important things in life were family and a strong work ethic. He is survived by his five children, Mike, Christine, Erica, Eric and Eron; 11 grandchildren, Chelsea, Kylie, Keefer, Tanner, Logan, Caitlin, Hayley, Kyle, Davin, Millie and Avlynn; and a brother, John. He will be sadly missed by all, especially his best buddy, Jasper. To offer online condolences to the family please visit www.thefortingrouplewiston.com.